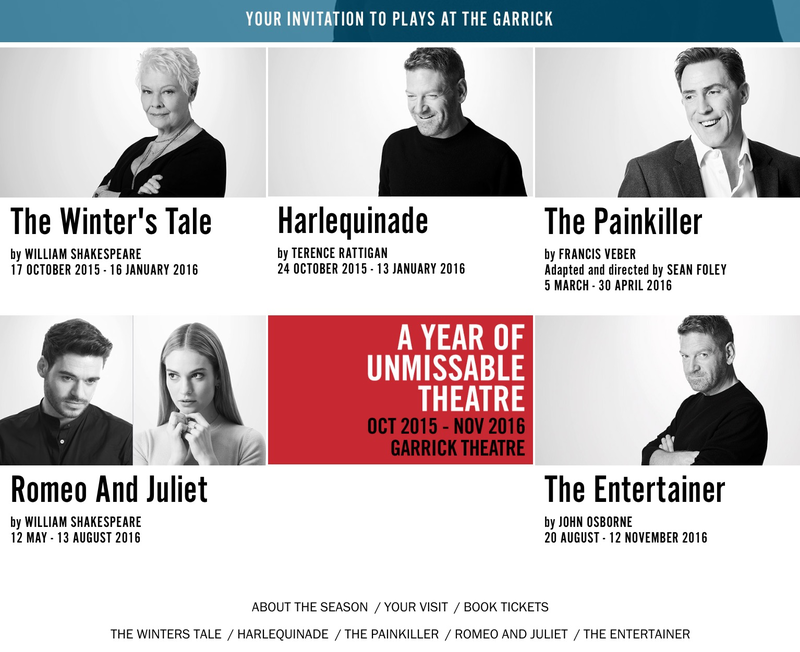 So the season of Kenneth Branagh plays was announced on Friday too much excitement by me and my stage friends and followers. With such an amazing cast it wasn’t hard to get caught up in the frenzy of trying to secure a ticket for one or more of these plays. Also to see #DenchBrokeTheInternet and #BranaghTheatre trending brought me both amusement and questions? Who would be the person you would have to simply beg, or borrow to secure a ticket for? Your ultimate favourite or someone who you have always dreamt of seeing whether it’s possible or not. Whose your ULTIMATE Cast Member? I would’ve loved to see Julie Walters actually recreating her film role in Billy Elliot and was gutted I missed her in Acorn Antics even with its poor reviews! I agree to see Dame Maggie Smith would be a dream and was a popular choice featuring more than once! @ceri_MirandaH: I would also add Olivia Colman and Alan Rickman! Gosh now wouldn’t that be something and made me think – had anyone actually witness either of these greats on the stage? Seeing all the 5⭐️ reviews of Gypsy this week I think it’s safe to say Imelda Staunton is at the height of her career at the moment and is a delight to watch in anything. @marktitman: these are strange choices but I would love to see Emma Stone and Maggie Gyllenhaal. And why not? Theatre is all about your opinion and dreams every answer is as valid as the next! @craftymiss: Killian Donnelly in anything. I look forward to the day he plays JVJ or Phantom full-time. I loved him as Deco in The Commitments and I’m hoping to see him in Memphis shortly I can’t wait! Beautiful voice we can but hope! @nateandpaul: Ethel Merman just to witness that voice and Dorothy Louden. Maybe Julie Andrews in full voice. Wow wouldn’t that be something, great choices by Nate and Paul only to be expected from these fantastic show tune playing team! @ceri_MirandaH: Another late entry of mine would be Sir John Hurt ? Another great choice by Ceri! @JessKellyk: Rory Kinnear. I’d pay to see him read the phone book. I have to agree the phone book read by this great actor would engage me! Love these from the theatre tourist! @Deborah_Deborah: Seeing Christopher Eccleston unexpectedly, doing one of the Barnes’ People readings at Traf Studios, was pretty great! You lucky thing I bet it was I love the unexpected element! @vivalabeat: Whenever Roger Allam is part of a production, I’m bound to be there, have seen him 4 or 5 times and also can’t wait to see Mark Rylance again in a few months. Aaaand (I know!) seeing Ian McKellen and Patrick Stewart together in anything would be the best thing ever. Yes I’ve my favourites to that’d move heaven and earth to see no matter what! @TOABlueEyedGirl:Cynthia Erivo! #shemakesmecry #inagoodway #justastunningtalent #couldsingthephonebook #stillsoundphenomenal ?????? @rlizcooper: I can’t get tickets for Winters Tale. But did pay a lot yrs ago to see him in Hamlet at RSC. This time I may have to kill! Extreme but I know how you feel sometimes you just have to be there to witness greatness …………!!! Yes another for Dame Maggie a popular choice and we all know why! @carlottawannabe: if the gorgeous John Lloyd young came back to JB or done a cabaret over here. I missed out on seeing John Lloyd when he was over here but wouldn’t it be great to get a second chance! So that’s it folks oh except for my choice? Well all of the above but one for me to add would be John Simm. I absolutely love everything he does on the small screen but would love to see him on the stage and if @promptsbyDee is right I may get my wish now where’s my credit card????? ?